Hello Simon Says Stamp friends! 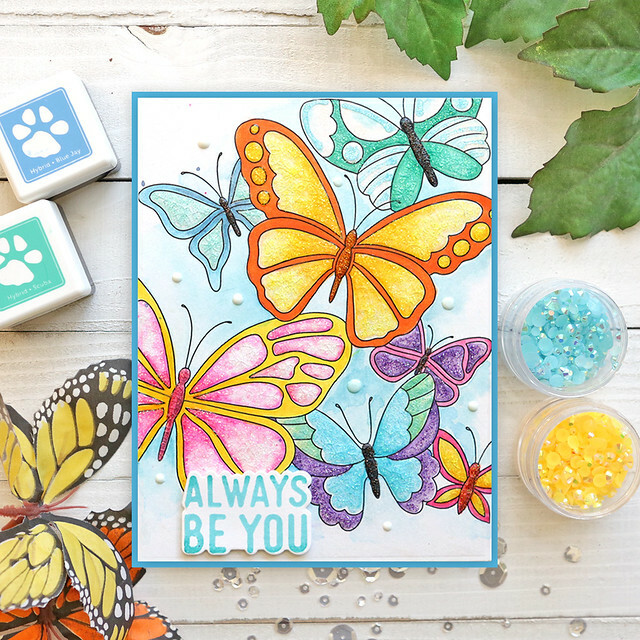 Hopefully you have come to visit today for the first day of the 2 day blog hop celebrating the new Blossoms and Butterflies SSS release! The entire release can be found HERE. 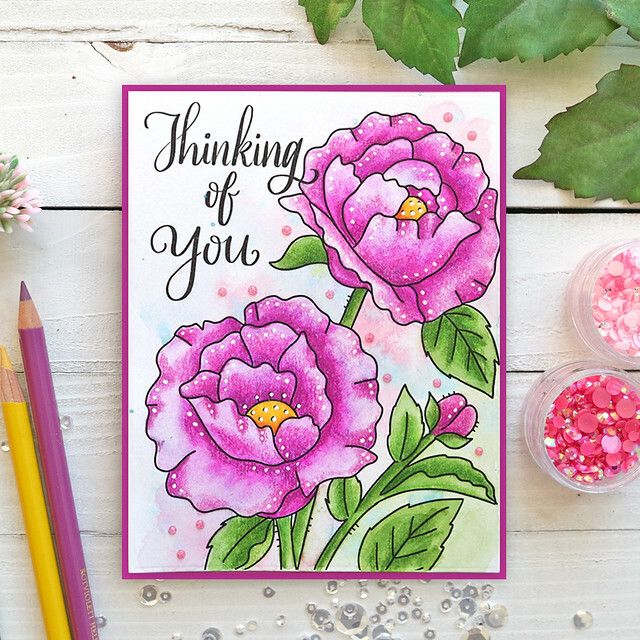 I have a new set of watercolor cards in this release called Picked Just For You. 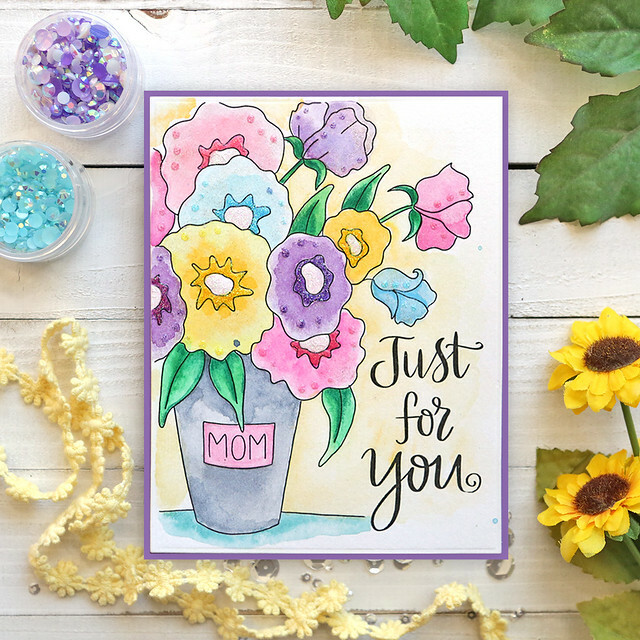 These are targeted for your Mother's Day cards, but I purposely left greetings off a few of them for you to add your own (and thus you can use them for other purpose as well). 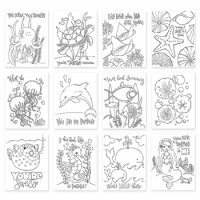 There are 12 different images in these sets and they are all printed on Ranger Watercolor Paper. I have illustrated a total of 32 sets for SSS now, so that is a total of 384 designs! You can find the total collection of Suzy's Watercolor Cards HERE at SSS. I have some tips and techniques at the end of my post that will help you when coloring them. All 12 are colored and made into cards below (watch out, this is a long post)! 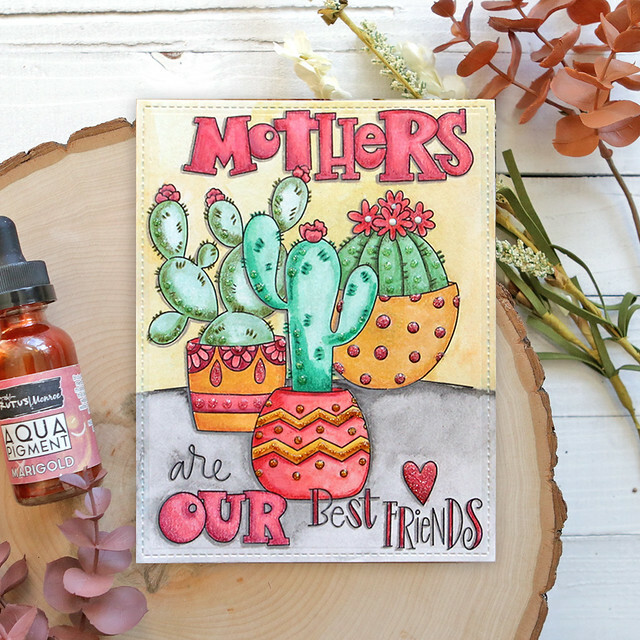 Brutus Monroe watercolor paints are da' bomb! The Metallic ones are my favorites and come in so many gorgeous colors. I have listed the ones I purchased and used on these cards in the supply list, but you can find all of the colors HERE. I used them for about 300 cards that were painted and I barely made a dent in them - they last for a long time. You don't need much water with them. I just used them as is with a wet brush as they go on quite transparent. But they have the most shiny shimmery look to them and the colors are just gorgeous! 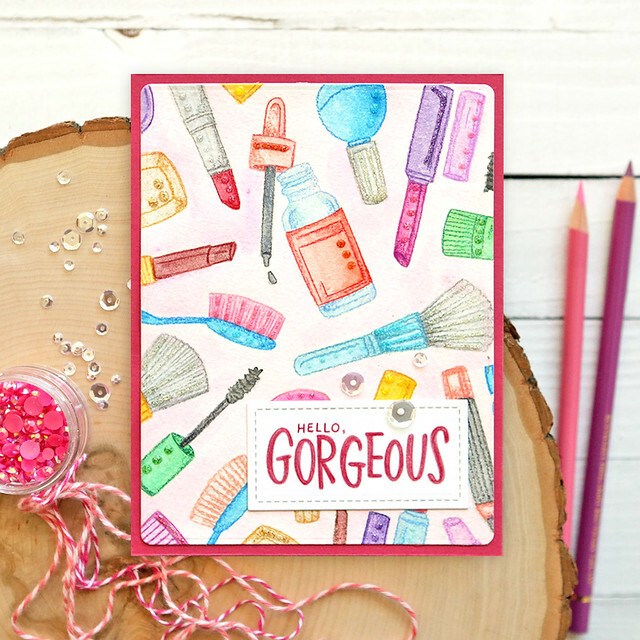 Another product I discovered that I used on all of these watercolor cards is the Ink on 3 Liquid Pixie Dust. This is a must have product for all watercolor artists (or novices ha). Think of it as a bottle of the shimmery stuff inside the shimmer pens. It is pure shimmer that you can either paint OVER your watercolored images, or you can mix it into your watercolors. What I did is put some on my tray next to the Brutus Monroe Metallic paints and I would wet my brush with the Pixie Dust and then dip it into the other paints to get a really shimmery look. 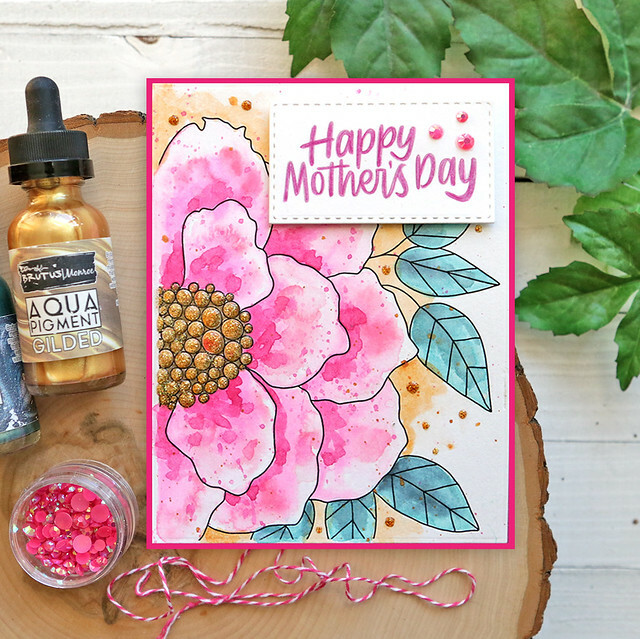 I wish you could see these cards in person as they are so beautiful with these two products on them. Of course I used all of my usual coloring mediums on them as well! I start with Daniel Smith watercolors (or any watercolor would work!) and I paint the backgrounds with a wet on wet technique applying color close to the images and letting it float out into the water around the images. I then paint the images themselves with watercolor and usually use two coats for shading. I then go in and color with colored pencils to add more shading. 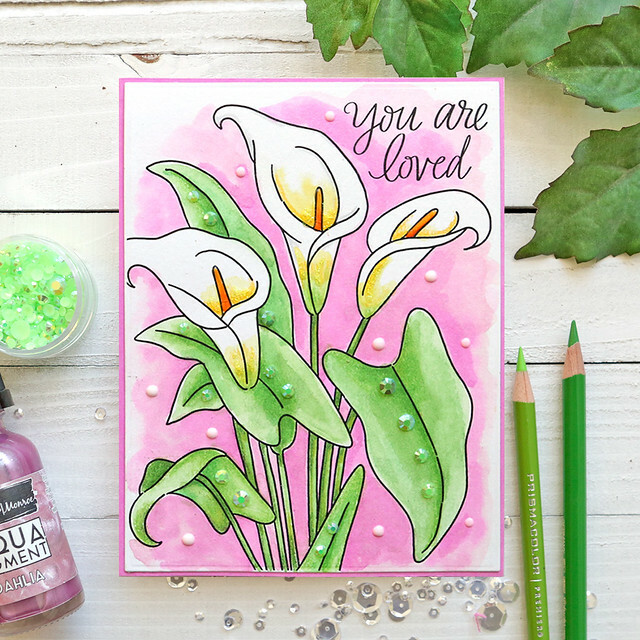 Do not be afraid to mix your coloring mediums on these cards. Anything and everything work on this paper including Copic markers. Last I add lots of Tonic Nuvo Drops to the cards for extra dimension and shine - primarily the Glitter colors. Yep, I like shimmer!!! Don't just use them for droplets - cover entire areas with a thin coat. Think of them like Glossy Accents with glitter in them and in colors! 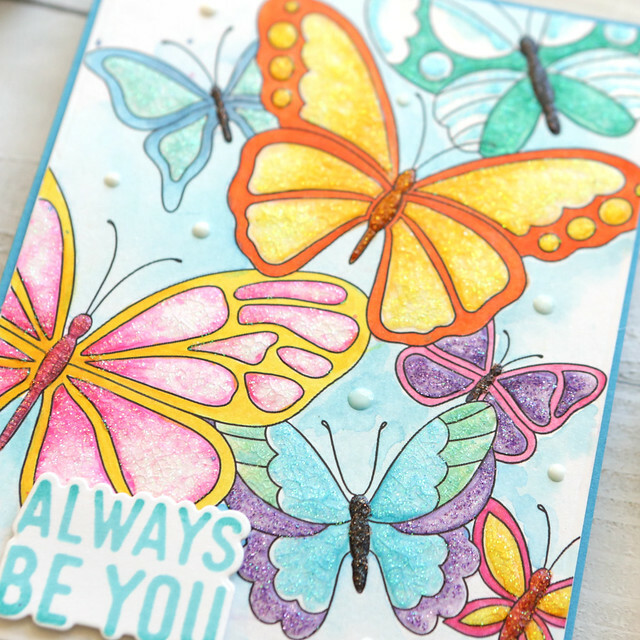 You will see on my butterfly card close up that they crackle when used in larger areas (like Crackle Medium!). 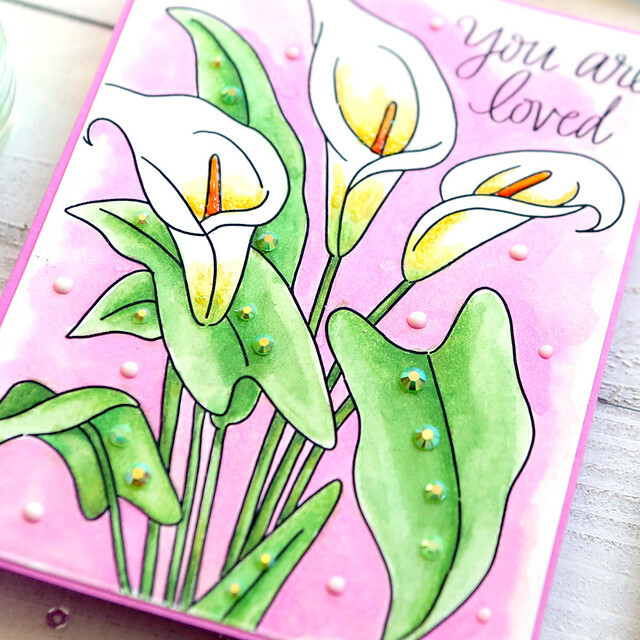 I like adding sentiments to the cards that don't have them on them and I linked to all of the products I used on these in the supply list below. 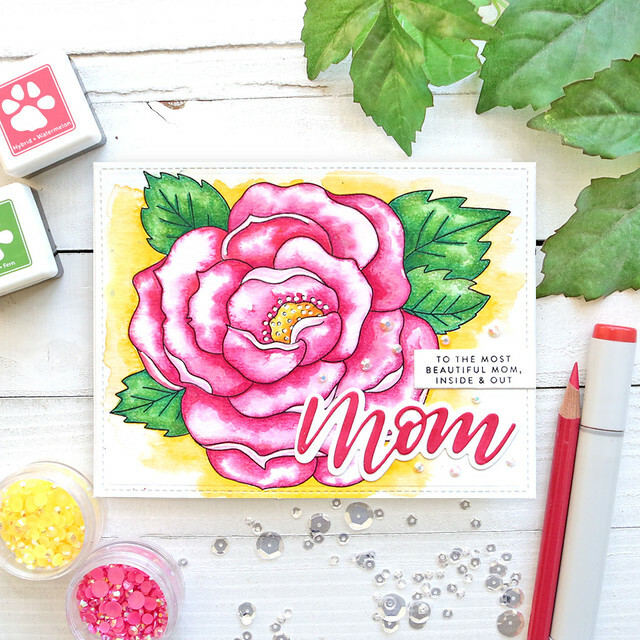 I really love the new Wakeup and Makeup stamp set greetings for Mother's Day cards - lots of good big ones and small secondary ones too. 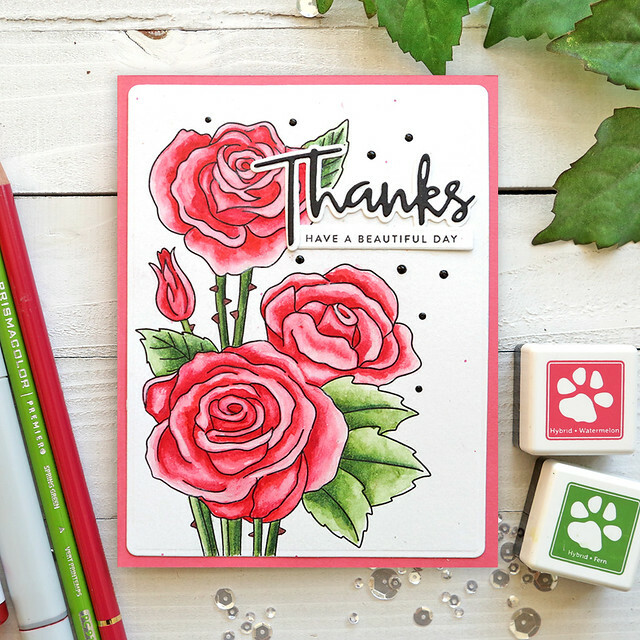 My favorite banners for sentiments are this set by SSS as it has many different sizes perfect for all the greetings in stamp sets! I like to die-cut my watercolor cards to be one size smaller than an A2 card base so the cardstock color frames the image. 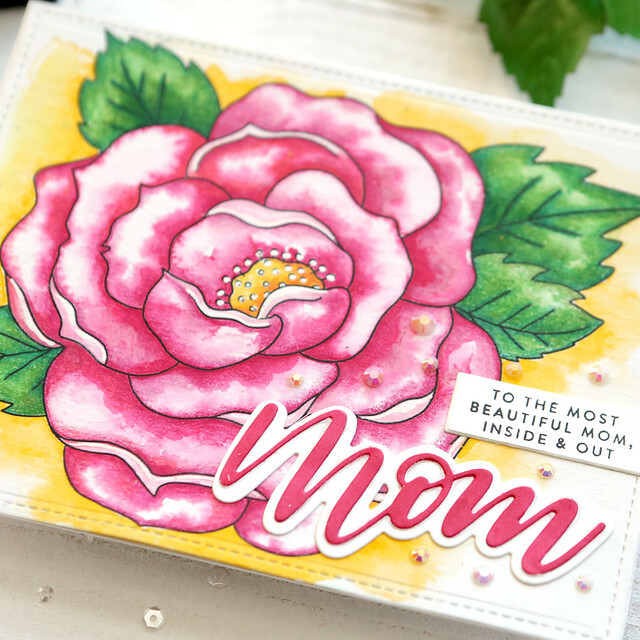 The best dies to use for this are a new set by Waffle Flower called the A2 Layer Dies - they allow you to die-cut them in many different sizes so you can frame the images with as much cardstock as you want to show. I like adding shadows behind my images and my sentiments with a gray colored pencil or a gray Copic Marker (such as the N2 one). It makes them pop and stand out more from the busy designs. 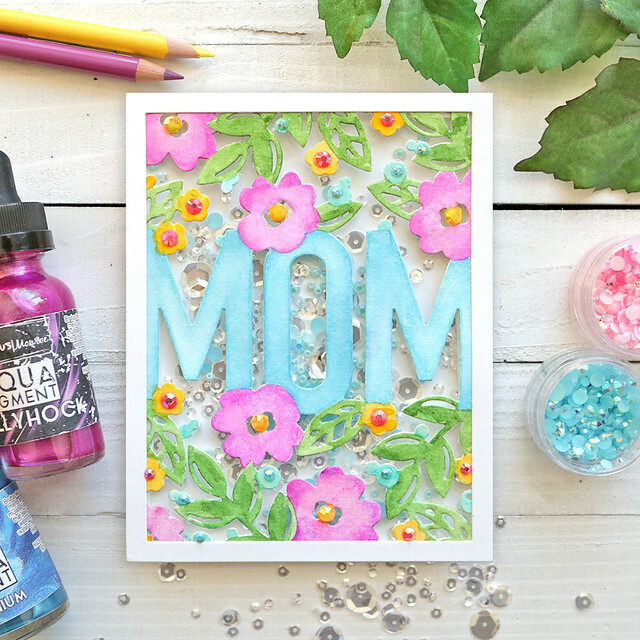 And if all of this still doesn't give you enough PIZAZZ, wet your paintbrush and cover it with paint and flick it all over the cards for extra droplets of color! Try this with the Pixie Dust for drops of sheen! Use the code BLSM999 to get a free jar of Unicorn Dust Glitter (while supplies last!) with any purchase; code expires Sunday, 4/14 at 11:59 pm EDT. This is a two-day blog hop extravaganza, so be sure to come back for day two on Saturday. SSS is giving away a $25 coupon on every stop on the hop from our blog comment sections; they will choose winners over the weekend and post on the Simon Says Stamp store blog on Wednesday, March 13th. You are so generous with tips and techniques and links to some great products. Thanks for all of that! I love your art! You have made an amazing set of cards, Suzy! Such lovely colours and designs! Thanks so much for sharing your wonderful inspiration! The cards are really gorgeous. Love the new release. It is fabulous. Wow - your collection is amazing and highlights these products so well! I love every one of these! I really have to try mixing copics, watercolor and pencils together, instead of keeping them as three separate techniques. Oh wow -- the gorgeous inspiration just keeps going!! 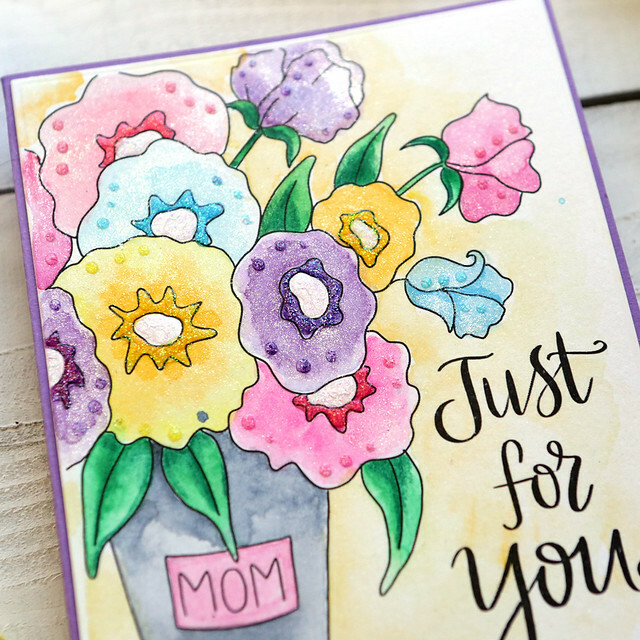 Amazing line-up of cards -- love the watercolors! Wow! so many gorgeous cards! Your coloring is stunning! These are so pretty! Always love your images. What beautiful cards. 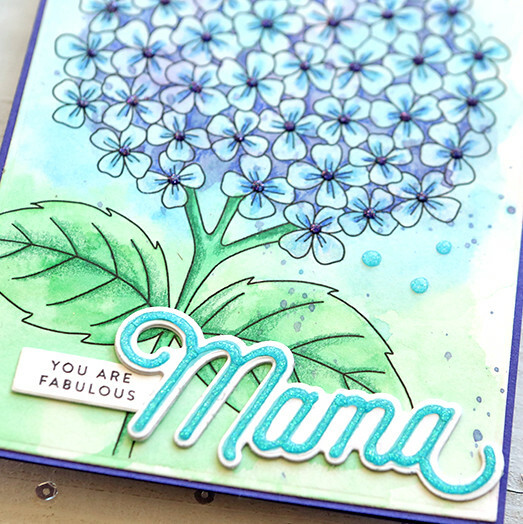 I especially love the “Mama” card. Your coloring is fabulous! 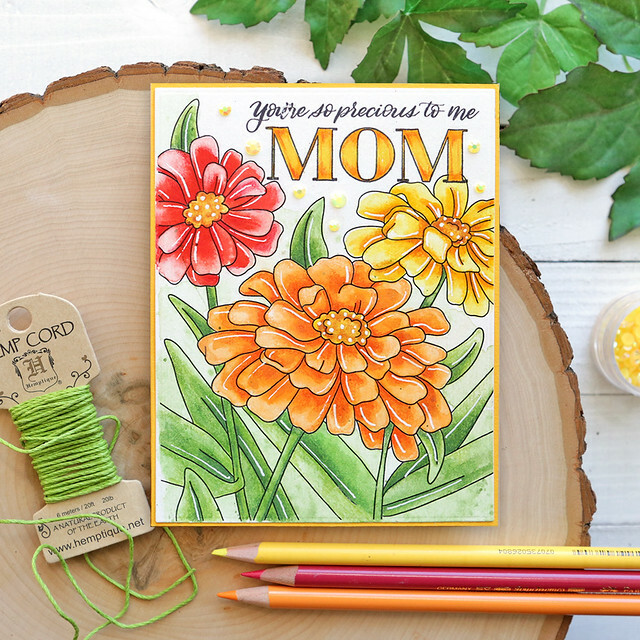 I love the cheerful colors on the Mom card! Thank you so much. Suzy, your artistry talent is amazing! Congratulations on a very inspiring set of watercolour art for us to have fun with! 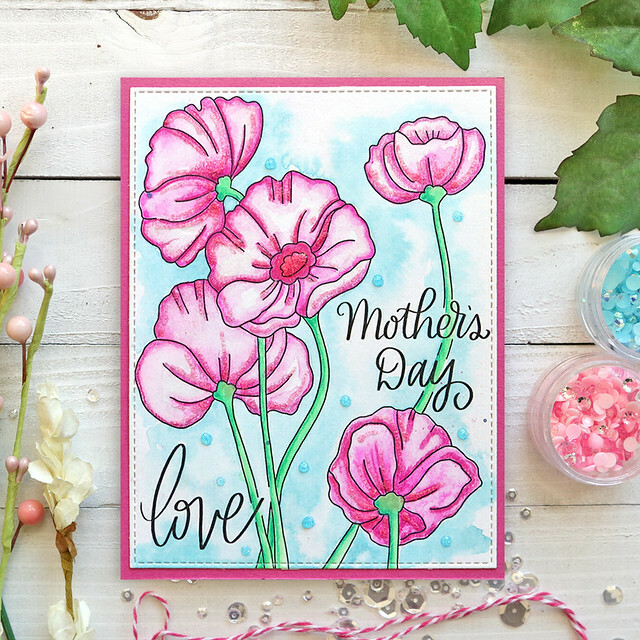 Love your designs, and the your water coloring technique, your color choices, and all the EXTRAS you add to the cards! As well thank you for introducing us to this Inkon3 pixie dust! A must have for sure! Wow! Stunning! I REALLY LOVE all of your cards! Phenomenal! 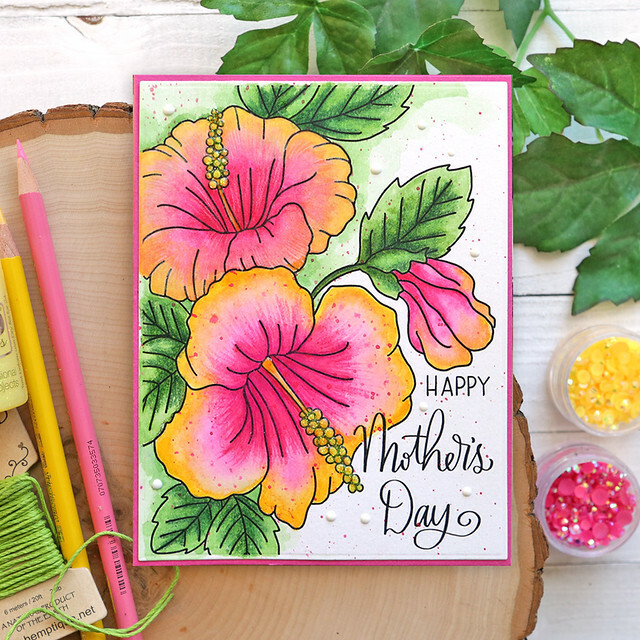 Beautiful coloring on all your cards! I especially like the one with the hibiscus. Gorgeous collection! As always you're cards are amazing. Those are wonderful patterns - I love the calla lilies and hydrangeas especially! Your colouring is wonderful. My goodness! You've been having fun! Your cards are fantastic! 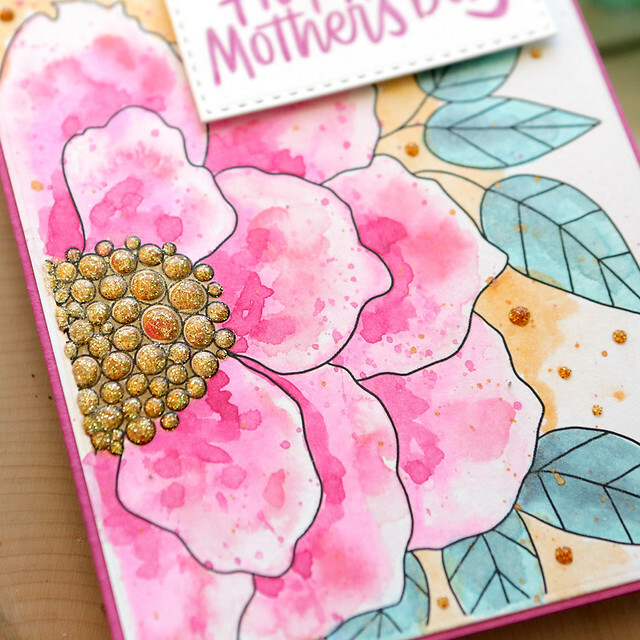 I especially like the pink flower with "Happy Mother's Day" card. Love the cards that you made. Great SSS release! Lovely cards, Susy! 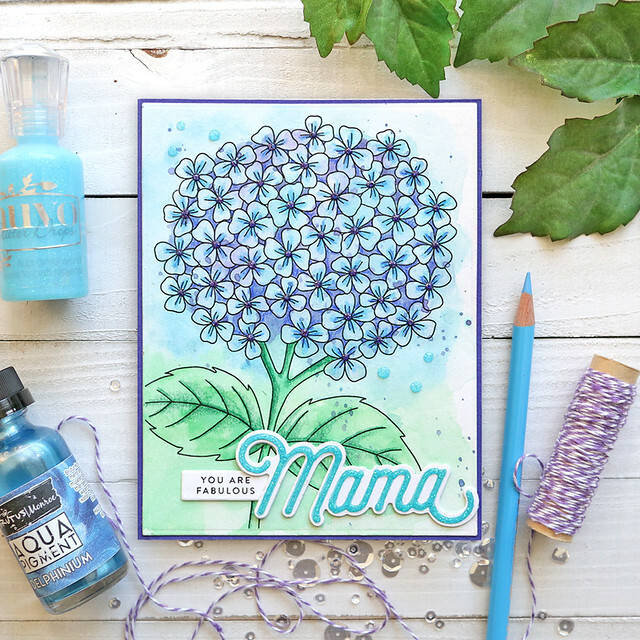 Love the hydrangea & butterfly cards the most but they are all stunning. Thanks for the tip on the liquid pixie dust!